Bill Murray’s movie career is explored along with various artists’ interpretations of him in numerous media in the Art of Being Bill. Each of Bill’s movies are described in a one-page movie synopsis accompanied by the movie poster and a short behind-the-scenes’ blurb. Then two to four artists offer their interpretation of Bill at that point in his life and career. Using seeds, pastels, pencils, paints and software, each picture is engaging. At the beginning, Bill was portrayed as a clown, a suave player and even a punk rocker. By the end, the representations became increasing melancholy and regretful—just as Bill appeared in his later works. The art varies widely in media, style and quality but each are valid interpretations of their subject. The text does a excellent job exploring the experiences of an aging comic actor’s early attempts to be taken seriously (i.e., The Razor’s Edge) to actually being taken seriously later in his career (i.e., Lost in Translation). It is easy to see the same trajectory in other comedians’ lives that did not end as well (i.e., Jerry Lewis and Robin Williams). 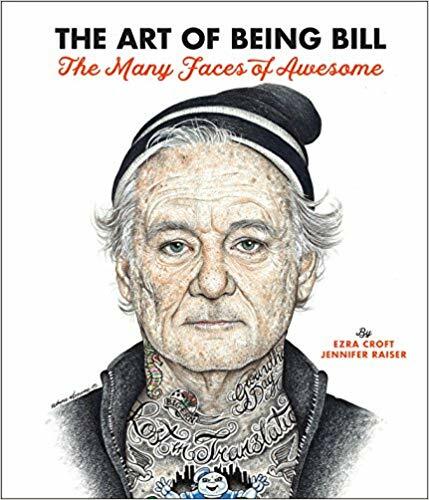 Overall, the Art of Being Bill is more than just the sum of its wide-ranging artwork and provides a thoughtful reflection on life itself. 4 stars! Thanks to the publisher, Race Point Publishing, and NetGalley for an advanced copy. Meticulously researched biography about the world’s most famous conjoined twins. Chang and Eng were joined by a small tube of skin and shared a liver. Today they would have been separated soon after birth. In the early 1800s, they were purchased from their Chinese/Siamese mother for $500. They were shipped to America in steerage while their owners cruised first-class. The twins were shown around America and briefly England as both racially curiosities and freaks while living as basically property of their owners. Eventually, taking control of their life, they marry American sisters and have 21 children. They also purchase some slaves of their own. 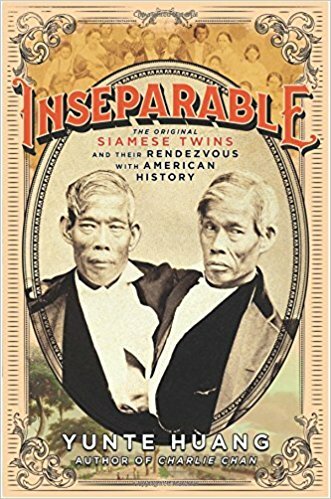 Inseparable: The Original Siamese Twins and Their Rendezvous with American History does a great job of setting the scene in early America. It relates politics, demographics and culture of each year as the twins travel around the US. The twins’ story is inspiring. Going from slaves to slave owners while being obviously different from all around them is a testament to their intelligence and work ethic if not their morality. Times were different back then and the author tries to place their decisions within the culture of the times. I enjoyed Inseparable hugely. It reads like fiction despite being fully developed from contemporaneous sources. This book contains so much history, it would also be a good resource for authors writing historical fiction in the same time period. 5 stars! Thanks to the publisher, Liveright, and NetGalley for an advanced copy. Like Beetlejuice’s The Handbook for the Living and the Dead, “this thing reads like stereo instructions”. But if the stereo instructions show Prince behind the scenes, it is worth spending a bit of time reading inconsequential details. Prince and the Purple Rain Era Sessions: 1983 and 1984 describes what Prince was doing, and especially recording, literally day-by-day through 1983 and 1984. It also includes some new and captivating tidbits. Prince was the producer and Svengali of Vanity 6, The Time, Apollonia 6 and Sheila E along with several groups that were not as successful. There were real tensions and competition between Prince and The Time before Purple Rain was even imagined. Prince foretold the rise of a Madonna-like star. Unfortunately and perhaps truthfully, Prince felt that the Purple Rain movie and album would “be hanging around my neck as long as I’m making music”. I am a huge Prince fan. Jellybean Johnson, the drummer on the Purple Rain album, says “When ‘Little Red Corvette’ became a big pop smash, we started seeing a lot more white people” and that is also when I (and everyone I knew in 1983) started listening to Prince. Prince and the Purple Rain Era Sessions: 1983 and 1984 gives many details about Prince’s recording method and highlights his huge work ethic. It includes information about unreleased tracks that may be released later by his estate. It concludes with the author’s research methodology, which was meticulous and exhaustive. 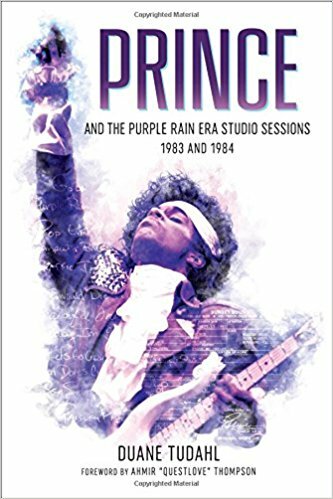 I’m sure that this book will be used by future scholars or biographers for their own books about Prince and the artistic process. The author teases at a sequel sometime in the future. Perhaps Prince: 1985 and 1986? I can’t wait. 4 stars! 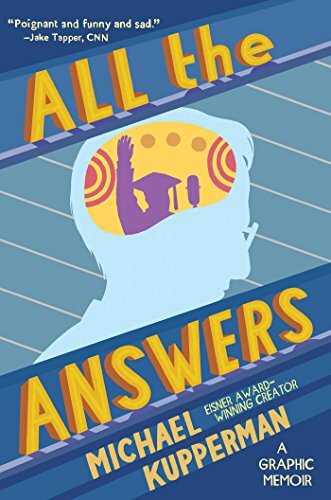 Thanks to the publisher, Rowman & Littlefield, and Netgalley for an advanced review copy. The author writes the history of her family from the 1890s until 1925 based on family and historical records and pictures. It begins with a drought in Nebraska forcing an entire farming family including their grown children to move to free land in Oklahoma. Some rode in horse-pulled wagons while others rode the newly built railroads. One, the matriarch Phebe, was left behind. As the book continues, we hear of the harshness of living on a treeless prairie forcing families to leave in dugouts like moles underground. Eventually, the families build sod houses (yes the sod they only use for lawns out here in sunny California) and wooden framed houses in town. The requirements for keeping the free 160 acres of Oklahoma land were the building of a house with at least one window by the close of the fifth year on the land. There was no specifications about the building material. This led to settlers using their creativity and a booming business in window moving after the government inspector had left. 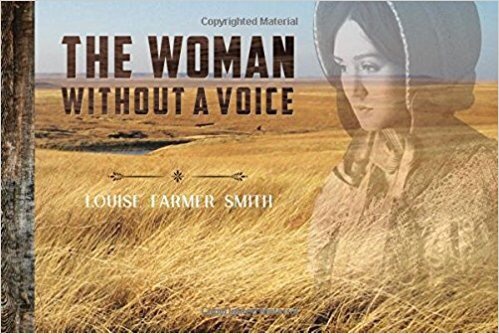 The author uses excellent period pictures of her family and others so you can really see how difficult it was for these pioneers. The book focuses on the female part of the story particularly in regards to what happened to Phebe. The writing style is quite beautiful and there is a full bibliography at the end for those wanting to read more. While working in Child Protective Services in a small desert town in California, I was shocked to hear about children being picked up from a ‘cave house’ in the nearby sand dunes. The front of the house, which was one of many in the area, had a wooden door and a glass window. The rest of the house was a cave. Little did I, or anyone else in the office, know at the time but that was a common way to live less than 100 years earlier. If this book had only been written earlier. I received an advanced review copy of this book from Net Galley and Upper Hand Press in exchange for an honest review. The book will be released on September 29, 2017. If you like true historical biographies, you should check it out.